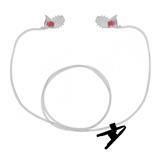 The Noizezz Universal Cord is a cord for universal ear protection. With this cord you will never lose your earplugs again. This saves you time, money and a lot of stress!